Well-versed students of literature at LMU invite you to take a guided tour around the world in 12 poems. “Sachte geh ich fort / so wie ich sachte kam” (“Quietly I take my leave / As quietly I once arrived”). This is a rendering of the opening lines of “Zài bié kāng qiáo” (“On Leaving Cambridge Again)” by the Chinese poet Xu Zhimo. Ying Cai and Brigitte Rath, both affiliated with the international doctoral program in Literary Studies at LMU, have chosen Xu Zhimo’s evocation of Cambridge as one of the way-stations on a literary journey round the world. 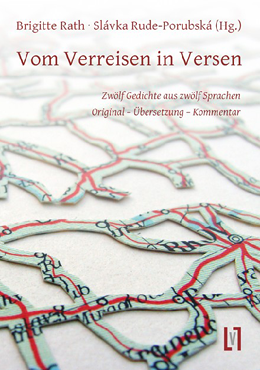 Together with other participants in the doctoral program at LMU, they present and comment on a dozen poems in as many languages by poets from 12 countries, gathered together in a new anthology entitled “Vom Verreisen in Versen” (“Traversals in Verse”). The book is the product of a whole sequence of meetings, readings and discussions involving 21 doctoral students from 11 countries over the course of the past 4 years. The upshot is a poetic itinerary that transports the reader to Cambridge and Paris, to Alexandria and Tel Aviv, and many other locations. Some of the poems in the volume are concerned with farewells, like the one by Xu Zhimo, which was written on his second trip back home in 1928. Others deal with the excitement of setting out and encounters on the way, while yet others were occasioned by flight and exile. Most of them were written while their authors were on the road. The journeys that inspired the poems followed the routes of some of the great migrations of the past 100 years, as editors Brigitte Rath and Slávka Rude-Porubská point out in their Afterword. Some of the poems bear the scars of war. Giuseppe Ungaretti’s “Nostalgia” is based on his experiences as a soldier in the trenches during the First World War. In “Erőltetett menet” (“Forced March”), the Hungarian poet Miklós Radnóti describes the gruelling trek that he and his fellow Jews were compelled to undertake from the Heidenau labor camp in the mountains of Serbia to the copper mines at Bor in 1944. Other poems, including the one by Xu Zhimo, testify to the forces of cultural attraction that exist between distant continents and between lives lived in very different worlds. Another example of this is the poem “Marseille” by Jules Supervielle. Supervielle was born in 1884 in Montevideo, but his roots were French, and his poem on the great Mediterranean port is at once an expression of alienation, homelessness and a yearning to belong.